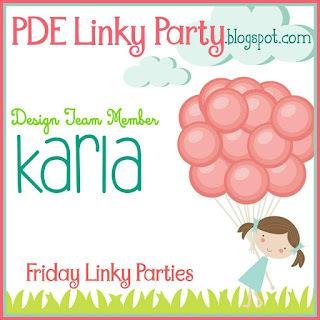 PDE Friday Linky Party - Vinyl Monogrammed Mug! It's time for another Linky Party at the PDE blog!! And Anything Goes, as long as it's creative or crafty! I'm showing off my very first ever attempt at cutting vinyl with my Cricut!! I designed this mug for my daughter, Stephanie, and it was so super quick and easy it's almost embarrassing, lol! I chose the font 'Everyday Fonts - Something To Shout About' from Cricut Design Space and used some American Crafts black vinyl to diecut my monogram S. Using the clear transfer tape I easily applied the cut to the mug. She's a lefty, so I thought it would be nice for her to have a mug she could actually see the design while she was drinking her tea. It was so easy I decided to add another cut to the other side. This heart cut is from the Stamping Cricut cartridge. Of course I had to add in a package of loose tea from my favorite tea shop- David's Tea! Thanks so much for joining me today! Please check out the amazing Design Team inspiration on the PDE Linky Party blog, where you can enter your own Anything Goes project! We'd love to see what you're up to! 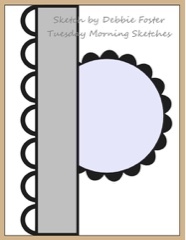 Happy New Year Art Journal Tutorial! Hi there friends! I was recently making an art journal page, inspired by the amazing and talented Vicky Papaioannou's New Year Art Journal video, and thought I'd make a little tutorial. Sometimes when you look at a mixed media piece it's hard to pull apart the layers and see where to start. It's really not that hard and following these steps you can create your own piece - either in an art journal, on a canvas, or even on a tag. I used a white gel pen to write down my goals around the page. This beautiful script stamp, sequins and stars are from the Believe Script stamp set by Pink and Main. Thanks so much for stopping by today! Have you set any goals for 2016? I hope this inspires you to get out some paints and inks and have fun playing! Hi there crafty friends! One more quick hot cocoa card to finish off the weekend! I stamped my cup and sentiment from the Pretty Cute Stamps set Sip Enjoy Relax directly on a diecut circle from the Cricut Shapes and coloured my image with Prismacolor Markers, adding a face from the PCS Coffee Faces stamp set. 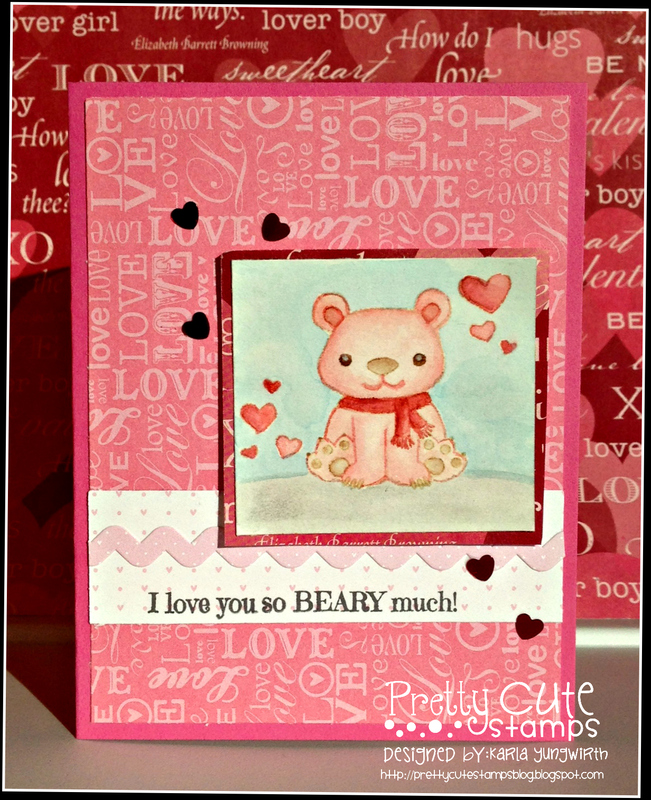 I cut a strip of red cardstock and diecut the border with an AC heart border punch. I used some of the mini hearts around my card, as well as a diecut heart from the negative portion of a border cut with the Elegant Edges cartridge. 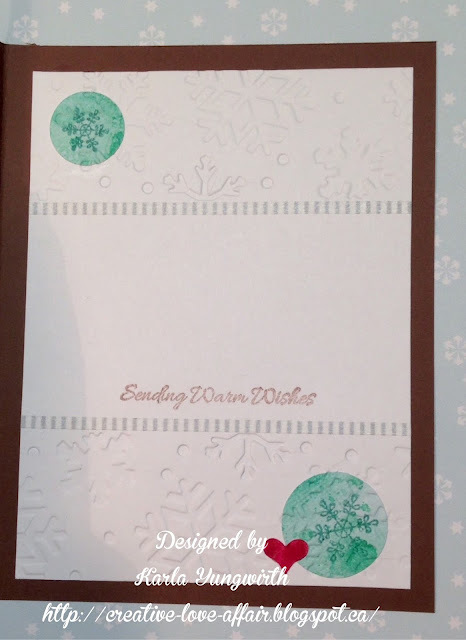 I embossed my white background with a snowflake embossing folder from Carta Bella after adding some blue Distress Ink directly to the folder. 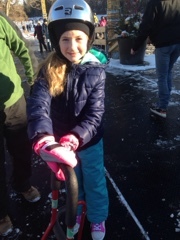 We had a fun Sunday and we actually took the girls skating. 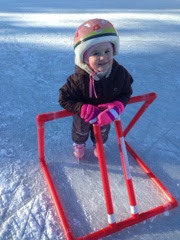 It's only the second time we've had them out on the ice, and they did well. I even ventured out on skates and did better than I thought I would! I hope your Sunday was great! This week's challenge over at the Die Cuttin' Divas blog - Brrr, Hot Cocoa is perfectly coordinated with my new snowflake embossing folder from Carta Bella. I couldn't stop at just one card, so I used the Print & Cut feature on my Cricut Explore to cut some wintery accents from the Hello Winter Echo Park collection. I found these on Snap, Click, Supply as a digital file. They coordinate perfectly with the Hello Winter paper pack I already had and were very easy to upload to Design Space. I also cut the scalloped border from The First Few Years Cricut Cartrige and the scalloped circle from Elegant Edges. After I attached my large circle snowflake, the Cup Of Cheer banner and the Hot Cocoa cup I added some stickers from the paper pack and some rhinestones. I dry embossed the white panel on the front of the card and then rubbed Versamark Ink over the top before adding Crystal embossing powder. You can see the shimmer in the snowflake in the background after I heat set it! I stamped inside with a sentiment from the Pretty Cute Stamps set Sip Enjoy Relax and cut my panel into 3 parts, embossing the top and bottom with the snowflake embossing folder. Thanks so much for stopping by today! Keep warm and have a lovely weekend! I've been playing around with the Print Then Cut feature on my Cricut Explore recently and found this cute Cocoa Sign (Santa's Village cartridge) along with the cup of Hot Cocoa (Yummy cartridge). 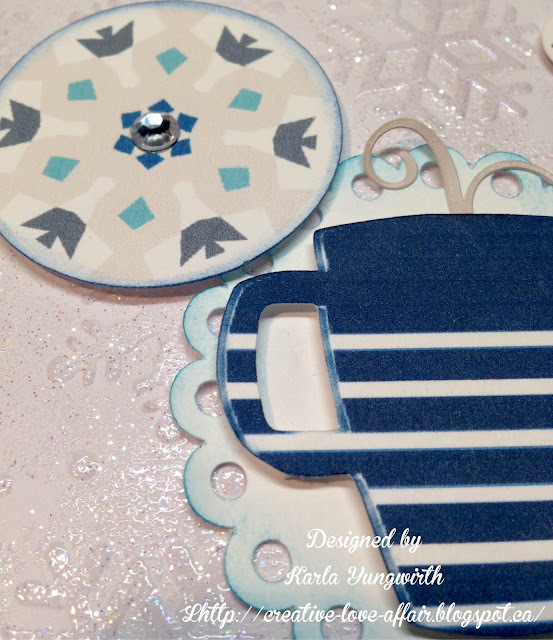 They were perfect for this week's challenge over at the Die Cuttin' Divas blog - Brrr, Hot Cocoa! 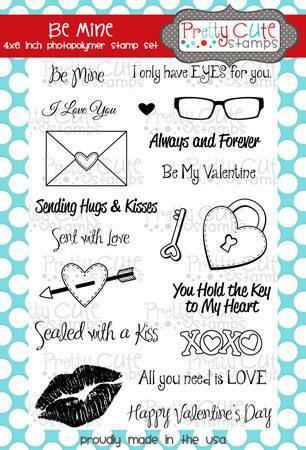 The pretty heart border and scalloped circle were both diecut from the Elegant Edges Cricut cartridge. I used Cracked Pistachio Distress Ink to ink the edges of the circle and colour the heart border. For my snowflake circles I used a circle punch in two different sizes and used Distress Stain on my craft mat to add a watercolour look to the white cardstock. After I got the look I wanted and dried them I stamped on snowflakes from the Warm Fuzzies stamp set by Pretty Cute Stamps. 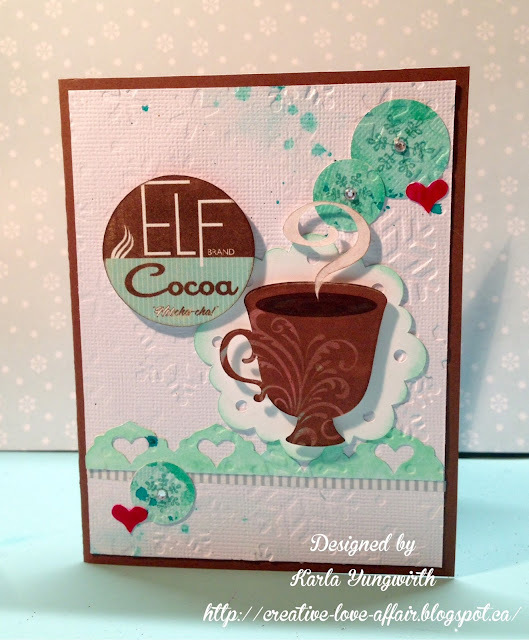 I used a new snowflake embossing folder from Carta Bella that I recently picked up, and since I've been following along with the Embossing Folder Fun class by Amy Kunkle over at Big Picture Classes I thought it would coordinate wonderfully with the Hot Cocoa theme! For the front of my card I glued on the heart border and the snowflake circles before running the card front through the embossing folder. 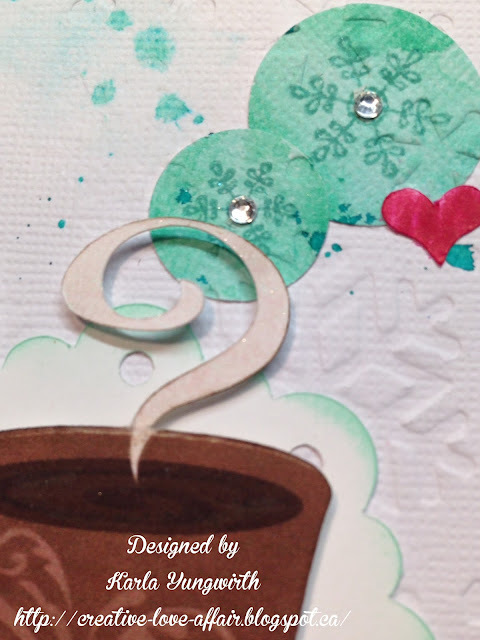 This was a good tip from Amy to create 'embedded embossing'. After I embossed I splattered on some Dylusions Spray Mist for a little inky detail. Inside, I debossed the snowflakes again, using the 'backside' of the embossing folder. 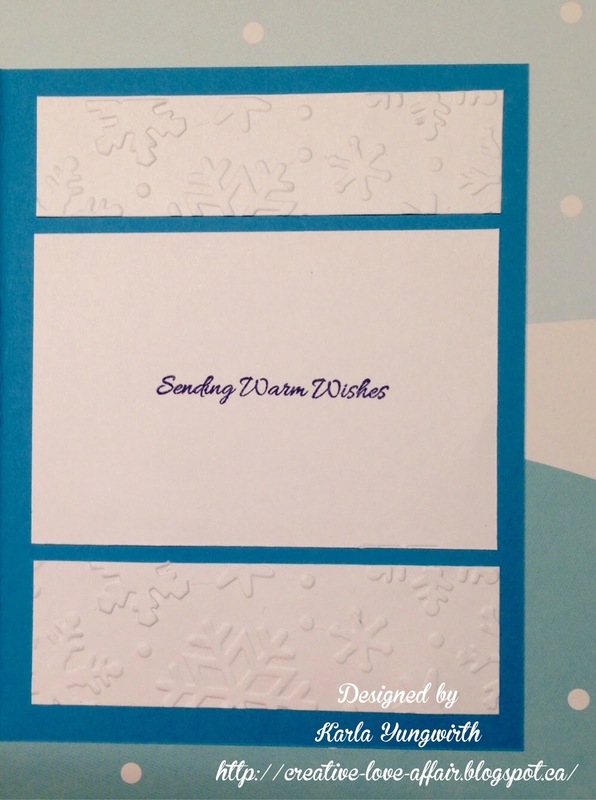 I only partially embossed my cardstock, leaving the center opening plain and embossing each end. I added a strip of washi tape at the point where the embossing folder ended. I stamped inside with a sentiment from the Pretty Cute Stamps set Sip Enjoy Relax and used some of the hearts from the negative of my diecut border to add a punch of red to my card by colouring them with a marker. Thanks so much for stopping by! I hope you are staying warm and enjoying your weekend! I'm posting for the Scrapendipity blog today and just had to share this mini book I did for a swap. It was so fun to do, and really you could personalize it any way you like! I used the instructions from the Scrapbook & Cards Today blog and personalized it with some sparkly red embossing powder for the recipient, whose name begins with R. The cover and pockets are Tim Holtz paper, and I used Distress Ink to blend the paper with the resist on it. I added a clock, the corners and butterflies from a Gorjuss Girl set and added some gems, some woodgrain paper and a ribbon so the book could tie closed. Inside, I used the beautiful stamp set Believe Script from Pink & Main, which I heat embossed with white embossing powder. I stamped the lovely little sequin stamp, which comes with the same stamp set, in silver embossing powder to give it some glimmer and then added red with a marker and used a shimmery gel pen over top to add more sparkle! I love this photo - it's from the Tim Holtz Lost Relatives card pack! The book opens up in a zig zag - this is the right side of the book when you open it, from January to June. I made each double page a month and then filled each pocket with some goodies that the recipient could use. I figured she could add her own photos to each month - or add whatever she liked to further personalize her book. Here's the left side of the book, from July to December. I spritzed on some Heidi Swapp silver Color Shine to add some more sparkly goodness to these pages. This was a fun mixed media project using stamps, diecuts, stickers, spray ink, Distress Ink, embossing powder and lots more! I hope you're inspired to get your fingers a little inky and just enjoy the process! Pink & Main Challenge - #5 Sparkle! I decided to combine this awesome Cricut challenge with my post over at the Pretty Cute Stamps blog this week, since that's who is sponsoring! PCS has such an amazing assortment of stamps - they are really worth checking out. One of my favourite things about Lisa's stamps are the fabulous sentiments included with each set! For my project I used my Explore to cut out almost my entire layout! The banners are from the When I Was A Kid cartridge, Snowflakes are from Teresa Collins December 25, and the squares and rectangles are from the Basic Shapes. I was inspired to create this layout from a Scrapbook and Cards Today Magazine layout on Pinterest. I decided to design the layout in Design Space, and then when I was ready to make it, it was really quick! If you want to use this layout yourself, here's the link to my file in Design Space . My background paper is from the Simple Stories Snow Fun paper pack, the woodgrain paper is from Carta Bella and the banners are cut from BoBunny Sleigh Ride paper. 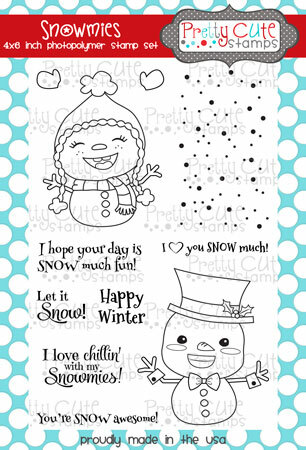 I used the adorable snowman from the Snowmies Stamp set by PCS and used the sentiments included in this set on my layout as well as directly on my photos! The Snowman from the stamp set was stamped on watercolour paper and I used Distress and Tombow Markers to colour him in. I love the way adding a stamp lets you colour coordinate your image to match your photos! Thanks so much for joining me today! 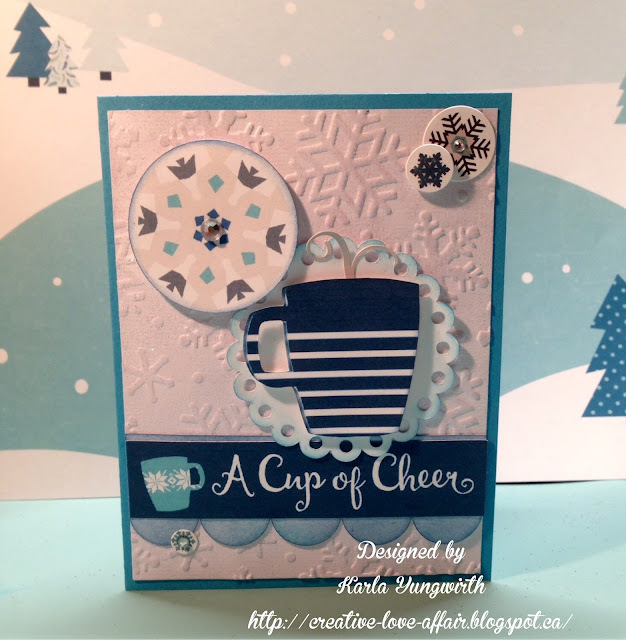 Be sure to check out what all the other DesignTeam members have come up with on the FCCB blog for this snow challenge, as well as checking out all the amazing inspiration over at the Pretty Cute Stamps blog! There is a new challenge that just started this week there too. Pretty Cute Stamps January Challenge - Love! It's time again for our monthly challenge on the Pretty Cute Stamps blog! This month the theme is LOVE! There were so many options for this challenge it was hard to choose which stamp I wanted to use! 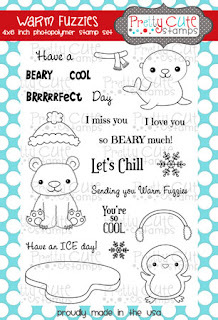 I decided to go with the Warm Fuzzies stamp set and use the No-Line colouring technique. There are lots of tutorials on YouTube about this, but basically you are stamping with Antique Linen Distress Ink on watercolour paper and then watercolouring your image in. Because the Antique Linen is so light it blends into the colouring, but still allows you to see the image lines as you watercolour. This sentiment, also in the set, was perfect for this challenge! I used Distress Markers to watercolour this adorable bear image. They are one of my fav mediums to watercolour with! I scribbled on an acrylic block with the colour I wanted to use and then used a wet paintbrush to apply the colour to my paper. Inside, I used the Happy Valentine's Day sentiment from the Be Mine stamp set - a wonderful Valentine set! Thanks so much for joining me today! 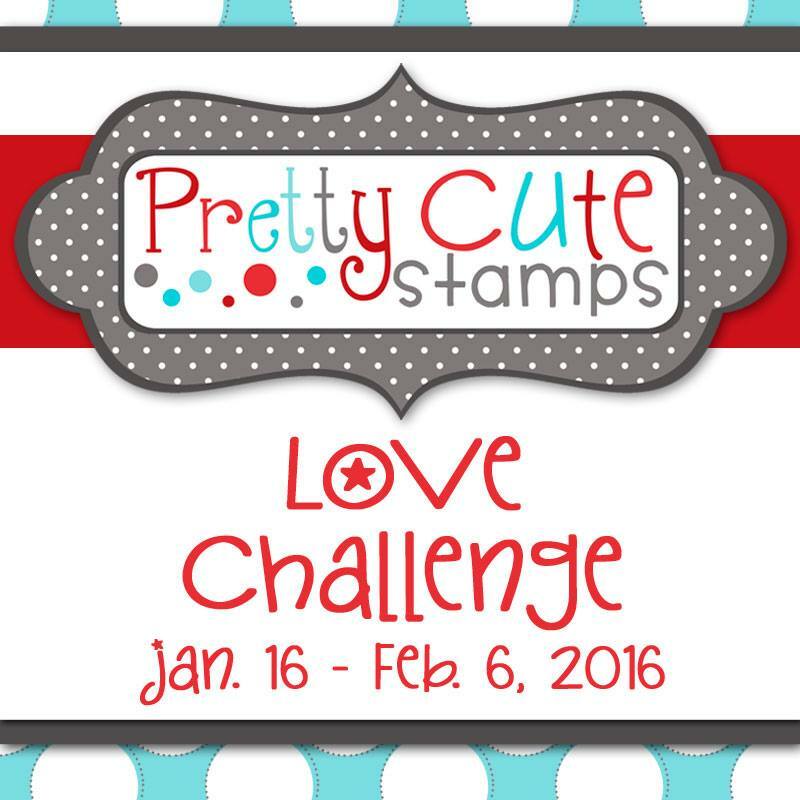 Be sure to check out the Pretty Cute Stamps blog to see what the other Design Team members have come up with for this Love Challenge. 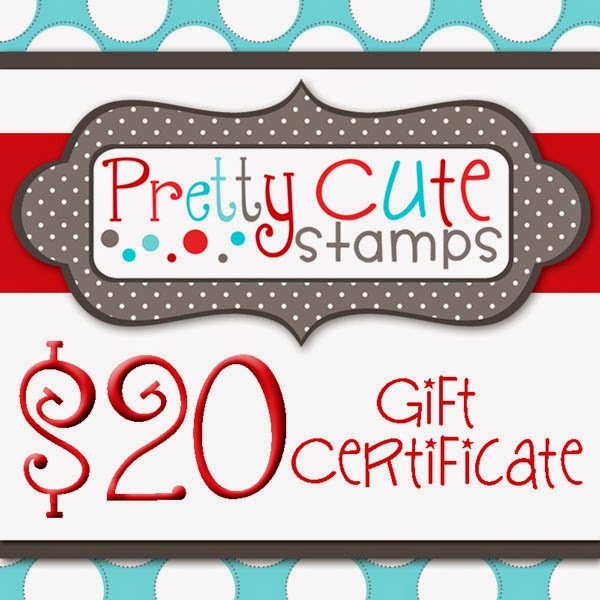 There, you can enter your own project for a chance to win an awesome gift certificate from Pretty Cute Stamps! Remember The Little Things Layout! Mini Distress Ink Pad Watercolour Technique! FCCB #267 - Something New!